(Newser) – Robert Wang has a simple goal: "an Instant Pot in every kitchen." And CBC reports the Canadian inventor is poised to make significant strides toward that goal this Black Friday. Wang invented the Instant Pot in 2008 after getting laid off from his software engineering job, according to NBC News. The device is essentially an electric pressure cooker that also serves as a rice cooker, steamer, slow cooker, and more. It has sensors to prevent burning and make sure everything's cooking properly and Bluetooth for remote monitoring. Now, seven years after the Instant Pot hit the market, Wang has a legitimate phenomenon on his hands, selling nearly 250,000 units on Amazon's Prime Day. "To sell 250,000 units in 24 hours is close to a miracle," Wang tells CBC. "It's like that saying about when the time for an idea has arrived, nothing can stop it." I've tried the Instant Pot, not bad. It was tough learning how to use it, lots of experimenting, reading user manual... Much easier to cook with the new HotLogic. 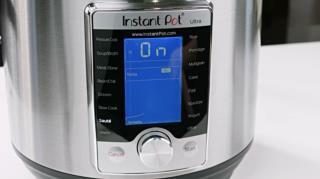 Great appliance, no buttons, just put the food in and it does everything. No need for instructions. http://hotlogicmini.com - it is on sale. I'm giving them as gifts this year. So how is it very different than a crock pot? Oh I see it looks very techy, not like something from grandma's kitchen.